Hello and welcome to the Leadership Done Right podcast, Episode 8 – The Lightbulb Catastrophe. I recently heard the following story related by Dieter F. Uchtdorf who is a retired airline executive. On a dark December night 36 years ago, a Lockheed 1011 jumbo jet crashed into the Florida Everglades, killing over 100 people. This terrible accident was one of the deadliest crashes in the history of the United States. A curious thing about this accident is that all vital parts and systems of the airplane were functioning perfectly—the plane could have easily landed safely at its destination in Miami, only 20 miles (32km) away. During the final approach, however, the crew noticed that one green light had failed to illuminate—a light that indicates whether or not the nose landing gear has extended successfully. The pilots discontinued the approach, set the aircraft into a circling holding pattern over the pitch-black Everglades, and turned their attention toward investigating the problem. They became so preoccupied with their search that they failed to realize the plane was gradually descending closer and closer toward the dark swamp below. By the time someone noticed what was happening, it was too late to avoid the disaster. After the accident, investigators tried to determine the cause. The landing gear had indeed lowered properly. The plane was in perfect mechanical condition. Everything was working properly—all except one thing: a single burned-out lightbulb. That tiny bulb—worth about 20 cents—started the chain of events that ultimately led to the tragic death of over 100 people. Of course, the malfunctioning lightbulb didn’t cause the accident; it happened because the crew placed its focus on something that seemed to matter at the moment while losing sight of what mattered most. The lightbulb catastrophe was caused by a single lightbulb. The result was the loss of over 100 lives. Have you every focused so intently on getting a particular aspect of a project worked out that you forgot to look at the big picture? Do you ever focus on getting the budget lined out so perfectly that you lost sight of where you were spending money or if the expenses were really worth it? Have you focused on writing your vision statement so perfectly that you neglect to lead those for which you are creating the vision statement? 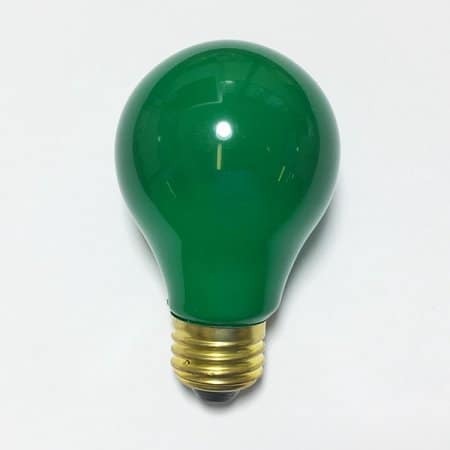 The details of leadership are so important, but how often do we as leaders lose sight of what matters most and fall into our own lightbulb catastrophe? Don’t let the lightbulb catastrophe happen to you! Whether you are a leader of a small group of a few people or the CEO of a large multinational organization, keeping sight of what’s most important is essential. But, how can you do that? What can you do to retain your focus on what matters most? Here are five tips you can follow to stay focused without losing sight of the big picture. Create systems for yourself and your organization that will ensure that you keep the big picture in mind. Place your vision statement and goals in a place where can regularly see them. Keep a list of your internal and external customers and their needs. Dedicate and schedule time each day to focus on what matters most to you. Plan and prepare for distractions so you are ready when they come. By implementing these five tips into your life, you are much less likely to lose track of what matters most. You’d hate to have a small inconsequential lightbulb in your life keep you from reaching your goals, vision, and purpose. Instead, keep the big picture in mind, while still focusing on the details of your life. Thank you for listening to this episode of the Leadership Done Right podcast. If you would like to hear the next episode of this podcast subscribe to this podcast on iTunes, Stitcher, or whatever other podcast platform you use. You can also check out the full list of episodes at LeadershipDoneRight.com/LDRPodcast. I want to let you know that in the next month I will be interviewing some great leaders and will be sharing those interviews with you. 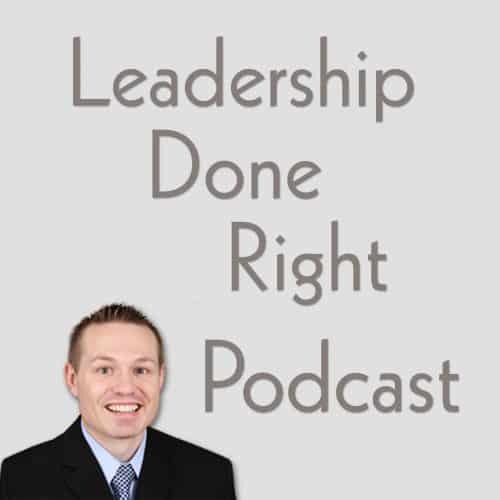 If you would like to be interviewed on the Leadership Done Right Podcast or know of someone that would be a great person to interview, please feel free to shoot me an email at brandonwjones@leadershipdoneright.com.